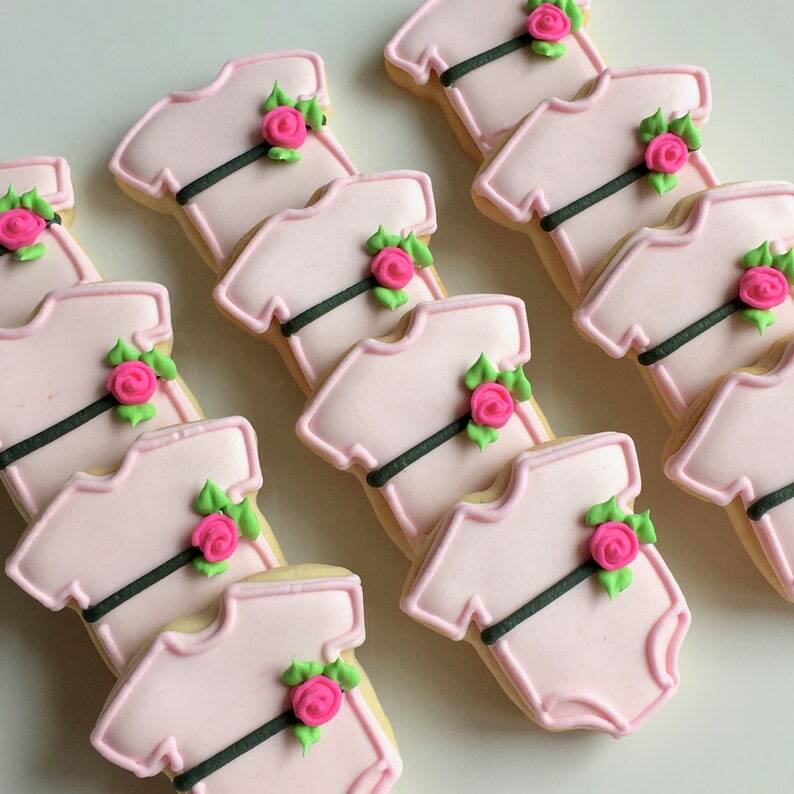 This listing is for 24 mini baby bodysuit cookies, in your choice of color, with a black band and coordinated color rosebud. Dimensions are approx. 2"x2''.